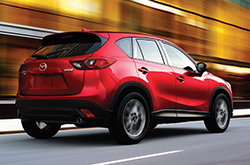 Joe Myers Mazda is proud to offer the newly updated 2016 Mazda CX-5 in Houston, Texas! 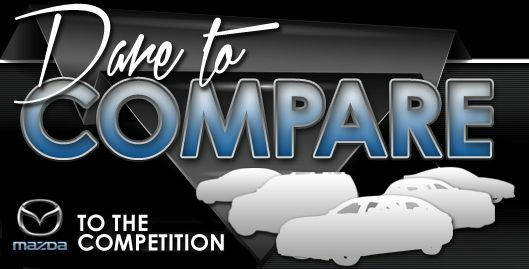 The two-time Car and Driver comparison test winner returns with a midcycle refresh, gaining new standard features and options, performance updates and some minor appearance revisions. On the exterior, its look evolves with a new horizontal-striped grille, rear LED light signatures and redesigned 19-inch wheels (optional). The interior has also developed, integrating higher quality materials, standard Bluetooth phone/audio on every trim level and Mazda's latest infotainment technology, which is called "simple to use" and "quick to respond" in Car and Driver's 2016 Mazda CX-5 review. The SUV already has an IIHS Top Safety Pick Plus title under its belt, thanks to its optional front-collision avoidance Smart City Brake Support system, but Mazda has further demonstrated its commitment to passenger protection by throwing in new safety options this year. Shoppers can now choose adaptive cruise control, lane departure warning and rear cross-traffic alert, technologies that deliver high-level safety so you can commute worry free. For compact SUV shoppers who are looking for a small crossover that doesn't feel tight on space, the Mazda CX-5 is a top choice in its class, showing off greater cargo volume, legroom and passenger space than competitors like the Hyundai Tucson and Kia Sportage. Many 2016 Mazda CX-5 reviews also say it shines in the fuel economy department, where it outpaces SUVs like the Hyundai Tucson, Toyota RAV4, Toyota Highlander Hybrid and VW Touareg Diesel in terms of efficiency. 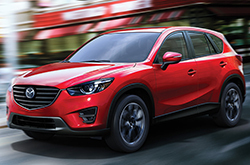 With both its 2.0-liter and 2.5-liter four-cylinder engines, the 2016 Mazda CX-5 in Houston surpasses its hybrid, diesel and gas-fueled rivals, achieving up to 35 hwy mpg with the smaller engine and 33 hwy mpg with the larger engine, according to EPA estimates. Its efficiency doesn't hinder performance, either. Known as one of the most fun-to-drive options in its class, the Mazda CX-5 deliver's performance no matter the selected engine and greater driving refinement this year with revised suspension tuning and added sound insulation on 2016 models. 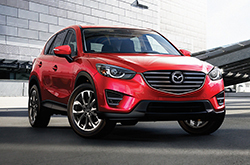 The 2016 Chevrolet Equinox, Volkswagen Tiguan and the Toyota RAV4 are no match for the 2016 Mazda CX-5! Just compare Mazda's most current model to them and you'll find out that it out does the competition easily. Just a few of the characteristics that shoppers in TX will appreciate are the Mazda CX-5's superb exterior styling and cut-rate cost. For Houston Mazda customers who want a remarkable value, just compare this vehicle's price to the aforementioned vehicles and you'll see that it's a rock-solid investment. Check out our Quick List below this paragraph for more info about its specs! The 2016 Mazda CX-5 review above was penned by Joe Myers Mazda's automotive writers; for information about preceding models please view the links in the sidebar. We're a well&$45;respected car dealership in Houston for a reason, part of which is that we provide reviews drafted by experienced writers who are at the height of their craft. Everything perspective car buyers need to make educated decisions is right here, including info regarding fuel economy and other specs. Each section is overloaded with accessible data and specs - all at your fingertips. Find out more about Joe Myers Mazda's wonderful lineup! Review and compare Mazdas other vehicles in our digital research library now!